You’ve changed a lot over the years, but you’re still the same pleasant and kind person you always have been. Do you know what takes a lot to become? A great person like you are. Happy Birthday! Wishing you a cheerful and delightful birthday. May every passing year bring you all the joy you’re looking for. Youth just happens to all of us very early, but age is something that takes time to earn. Your birthday again? It seems like yesterday that you were a whole wear younger. Happy Birthday! Take care always and stay true as you are . Happy birthday! 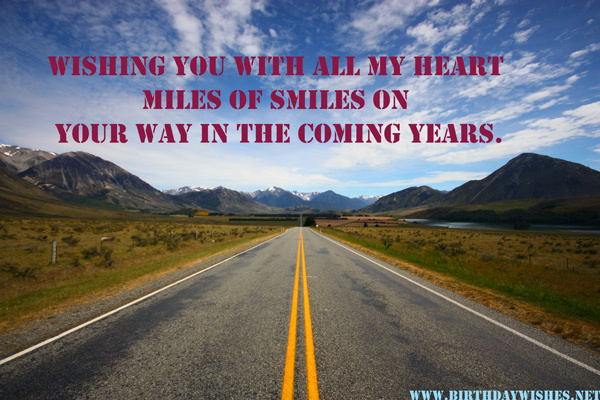 Wishing you with all my heart miles of smiles on your way in the coming years. Wishing your birthday includes singing and laughing and people and happiness. Happy birthday! Success and prosperity for you is not a random fact, it is a consequence. Happy Birthday! Wishing you good health and prosperity in all your life. Happy birthday! Hope all your dreams come true one day. It’s your day, today! Make this the best day of the rest of your life. Days are like sniffle; they just come and go so don’t bother and live your own show. Have a lot of fun with your family and your friends and enjoy the cake. Happy birthday! I absolutely hate Mondays i totally detest Tuesdays i totally hate Wednesdays and i absolutely despise Thursdays i kind of like Fridays and i slightly enjoy Saturdays i’m a bit happier on Sundays (but they go away so fast) i’m happiest when it’s your Birthday ( I get to eat cake ) SO HAPPY Birthday… Where’s the cake. Easy to say happy birthday, difficult to say why, there are so many things that one can explain, but all pale in retrospection, birthdays are such a joyous time, an excuse for friends to get together and see each other after such a long time. I want to say happy birthday to you , for me it’s more about just coming to meet your today, my happiness extends to the moment you were born in this world, and I hope you always remain as happy as you are today. There is a lot of beauty in the world, in the morning sunrise, in the dew that lays on the leaf, in the bee that comes and sits on the flower, the look of the grass and the trees after a little rain, the twinkling of a rainbow in summer mornings. None of those things are more precious to me or more beautiful than your smiling face today, and I hope that you remain happy like this for the rest of all your years, Happy Birthday my dearest friend. May you live long, and be happy like this forevermore. 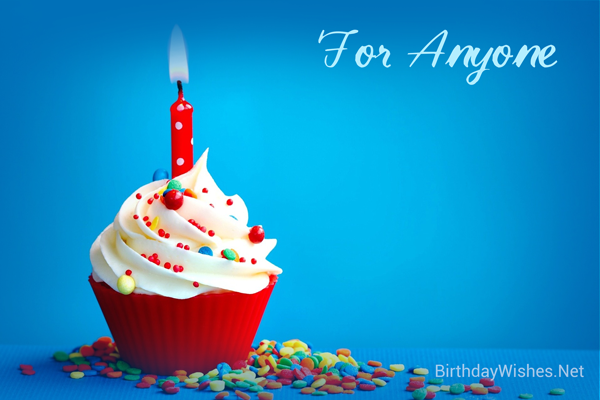 Check out this amazing collection of birthday wishes messages, the birthday wishes messages on this page incorporate the messages from these article, but feel free to add your own.